Right oh, after country hopping the past few reviews from France, England and then to South Africa, I’ve come back home to Australia. I’ve found myself landing in the area of Bilpin in the New South Wales highlands, well known for its apple growing prowess. Hillbilly cider, a name which founders Shane and Tessa Mclaughlin believe encapsulates life they lead in the mountains, is relatively new to the Australian cider market only being released in September 2012. But in that short time, I have had a score of cider lovers emailing me, or telling me “You have to try Hillbilly” so the reputation had already become apparent. The cider is based around Shane and Tessa’s country living, enjoying the simpler and finer things in life and becoming one with nature. To quote the back label of the cider: “A simpler life, called for a simpler drink”. It’s a far cry from the busy life they used to live in the big smoke of Sydney focusing on their wine business. It’s also appropriate to mention that the Hillbilly logo of the gun dog is a direct tribute to Tessa’s English heritage which is a nice touch. You really can get a sense of place, pride and simple living from Hillbilly cider, and isn’t that what life is all about? Shane Mclaughlin is a Winemaker by trade, and what do you get when you cross fermentable sugars from a fruit with the ever growing curiosity of a Winemaker? Well the equation I get is: Pure Bilpin apples and pears x Winemaker of 15 years = Cider. It’s also really cool to mention that Shane has experienced a harvest in Herefordshire, England. He believes it was this experience in cider country that helped him combine traditional techniques of cider making with Australian innovation. The traditional techniques and Australian innovation thrust upon apple varieties of Granny Smith, Pink Lady, Sundowner, Fuji, and a new variety called Julie is what makes the Hillbilly cider. I am told by Tessa that the Julie apple which was developed by Bill Shields of Bilpin, is a very floral apple. Sounds good to me! So now let’s see if this cider practises what it preaches, and is indeed perfect for simple living and not taking life too seriously. The colour is a little darker than some of the 100 per cent dessert apple ciders (especially from NSW), shining a nice dark yellow straw. The carbonation, which is all natural, is quite aggressive on pouring but fades super fast. On swirling in the glass, an eruption of bubbles is whipped up into a rage, but again fades fast to a nice bead. Nose wise; in my eyes it is too different and interesting to be a cultured yeast ferment. It has lovely complexing notes along with hidden nuances which keep you intrigued. I am tipping a wild ferment here, and this would of course fall into the ‘traditional techniques’ along with Australian innovation method of the making of this cider. If so, it’s a nice twist for this cider, and raises it above some of the more standardised and lifeless dessert apple ciders available in the market. And hey, if it is fermented using cultured yeasts, I’ll eat my hat! But the nose offers fresh up-front primary apple aromas along with some earthiness, pear, apple core notes and wet cardboard characters. The fresh apple aromas reminded me of a crunchy apple which is about to be bitten in to. It’s very reminiscent of a Granny Smith skin character which was nice to see. But along with nice crispness and cleanliness of fruit, an almost out of place cottage cheese note was evident. Very wild ferment like and hence what raised my suspicions, but by no means was this a bad thing as described earlier. Coming off the nose which offered up interesting characters and aromas, I was expecting to see some of these transition over to the palate. What I tasted was actually quite restrained yet surprisingly very interesting. There was a pleasant up-front natural sweetness which hit the front palate nicely. A huge whack of Granny Smith and Pink Lady malic acidity gave off an unusual tang which actually gave nice structural support. What I absolutely loved was the tannin structure of this cider. A lovely textural grip was a huge surprise packet, most likely coming from the apple skins. A nice creaminess from the Fuji’s and Sundowners also added to the complexity. Some nice light juicy apple flavours and citrus notes also rounded out the palate and added freshness. But unfortunately the problem with all these nice features on the palate was they were all watered down. When I see a cider at 4.5% I begin to worry. The back palate was dominated by a watery acid combo, with all the fresh fruit characters being diluted out. A nice cheesy angle did appear as the cider warmed up almost to room temperature, but the palate was let down by this watery mouth feel and really hindered the fruit. What you can take from this cider is the assurance that absolutely no artificial material was added. It’s a cider which has charm and will win you over with its subtlety and different nature. It’s very drinkable and is made with only the purest intentions – maybe just don’t drink it with ice! A funky little cider from the highlands of New South Wales which is perfect for simple life – can’t go wrong with that! The beauty is they also have a pear cider in the arsenal which I will review in the near future. *The Hillbilly Apple Cider recently won a bronze medal at the 2012 Australian Cider Awards which is a huge effort. Congratulations to Shane and Tessa on this big achievement in such a short period of time. So I was innocently working away at the day job a couple months ago, and like most days cider was consuming all my subconscious thinking. What hit me and stuck in my mind on this normal, run of the mill day was the ever growing use of certain ‘safe word’ terms like: ‘made with 100% real fruit’, ‘no added sugar’ and ‘not made from concentrate’. These terms hardly seem harmful enough to come under scrutiny or under fire, and conversely should be considered reassuring and factual. But after really giving it some thought, I was beginning to see another side of it all – had it lost its meaning? Surely not! Why would I even think that? I’ve said it time and time again, cider producers in Australia are proliferating like rabbits. The problem I was seeing was that many of the new producers seemed to regurgitate these same terms – almost making it the unofficial motto’s of Australian cider. I was torn and struggling to find an answer, and to get some outside perspective I even asked the same question on social media. I got some interesting responses too, from “yes, it has lost meaning” to, “depends on what product you’re selling”. I couldn’t stop thinking ‘how dare I’ see this in a negative way. But on the flip side, I couldn’t see how the terms had any meaning left due to them being splashed over so many new cider labels. It’s like when you ask your mate “which English Premier League team do you go for?” and they respond with “Man U”. You can’t help but feel like you’re in the presence of a sheep that only follows the herd (no offense to any Man U fans). But being used over and over again surely something loses its true meaning, and is then taken for granted? Firstly, I take my hat off to The Hills Cider Company from South Australia. A few years ago, this new and super funky cider hit the market with the statements ‘100% Adelaide Hills apples’ and ‘no sugar or water added’ splashed all over the label. I remember being in total awe. You got that feeling of amazement and curiosity because the cider was from ‘real fruit’ and was ‘hand crafted’. In my eyes these guys were the original pioneers of this real fruit movement in Australia, especially in the sea of concentrated Strongbow, Bulmers and Magners ciders. Even today, The Hills Cider crew hold these statements in high regard and keep it as a strong philosophy for the company. I pin point that moment in my Australia cider experience as the time where I expected no less in quality from any new cider. 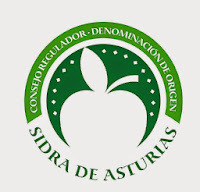 But over the past year, the many new producers with their pledged cider oaths proudly displayed for all to see have left me thinking what would consumers think? “Oh look, a new cider made from 100% yadda, yadda, yadda with no added this and that”. “Booooooorrrrring, been there done that!” I would hate to think this is true, but maybe there is some truth in it? I am positive I am not the only person who has noticed this?! Is this bad? Look at 5 Seeds for example. It’s Mass produced, made from concentrate and tastes nothing like real cider. A cider like this runs on high demand, high profits but low integrity. Good luck to it, it’s probably making tonnes of money and making all the Shareholders happy. Who am I to judge? But where is the ‘made from 100% concentrate’, ‘made with added water and sugar’? To supply demand, it would be almost impossible to produce this cider from the magical 100% fruit, with no water or sugar! Where is this on a Rekorderlig bottle? This is where my thoughts begun to change and I was immediately punched in the face with a hard dose of reality. To have a cider which is made from fruit, the whole fruit and nothing but the fruit is a privilege. Maybe the ‘made with 100% real fruit’, ‘no added sugar’ and ‘not made from concentrate’ is a producer’s badge of pride? Is it a revolt against the larger companies who lack authenticity and integrity, and who are not limited by what they need to display due to loose labelling laws in Australia? The more I delved into this, the more I realised that seeing so many producers claiming the real fruit, no concentrate and no added sugar or water connection only had pure intentions. It’s not a marketing ploy, or a feeble attempt to glorify the cider. In the grand scheme of things, I begun to see this as paying respect to Australian growers and the amazing fruit they produce. Being a hard and difficult time for fruit growers, paying homage to the tireless efforts and hard work is nothing short of brilliant. It revealed a grand and exceptional cider culture in Australia which honours the raw materials used and the supporting of local businesses. Many consumers are unfortunately happy to consume concoctions of artificial flavourings and high levels of processed sugar in flavoured ciders. To know a cider is made from 100% apples or pears with no added junk would not doubt change peoples drinking habits, and reconsider what they put in their bodies. It really made me sit back and think that we are so lucky to be able to enjoy these ciders which the producers proudly made with Australian fresh produce. Its pure apples and pears, the way the producers wanted it to be. So when you’re sitting back after a long day at work, check to see if your cider is made with pure fruit, free of sugars and concentrate, and just savour it. Sounds bloody great to me! Well off we go on the first instalment of All About Cider’s ‘Special Edition’ cider reviews. 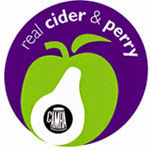 To recap, I recently had a mixture of twelve English and Welsh ciders and perry's sent over from the Bristol Cider Shop. Many of these examples most certainly have not even seen Australian shores, so hence my desire to get them over to our big, brown land to try! http://www.allaboutcider.com/2012/12/christmas-has-come-early-to-all-about.html Patience is definitely not my strong suit, and the temptation of having them sit in my house was too powerful. So here we are now! Just to note, this is purely a review with no scores. When I am in the presence of such cider royalty, who am I to judge with a score, right? The first little ray of sunshine on a cloudy day called Worley’s comes from the county of Somerset, with Neil Worley being its founder. What I absolutely love is Worley’s came to fruition through a hobby which got ‘way out of control’ (the same sort of story which Mike Henney from Henney’s in Herefordshire encountered). If I was in a position of living in the beautiful country side, having interests in making cider, and having perfect cider apples at my disposal, I too would let my ‘hobby’ engulf my every day life. Sounds like a perfect sea change….I wish. Worley’s use up to sixteen different varieties from selected southern Somerset orchards, with the philosophy to let the fruit do all the talking. Wild yeast’s are also part of the Worley’s style, which adds depth and complexity to their cider. This type of cider makes me want to get up off my chair and dance around the room to Gangnam style. This is the stuff that really floats my boat, and is why I obtained this natural infatuation for cider. The 2011 vintage (which I must stress, is NOT available in Australia), was made using a select blend of earlier ripening cider apples. These included Somerset Red Streak, Brown’s Apple, White Jersey, Ashton Bitter, Major and Ellis Bitter. As I have discussed in earlier posts, these apple varieties are probably completely foreign to you, but they all are a nice mix of bittersweet or sharp varieties. The colour of the cider was a beautiful gold and was filtered clear. The cider was back-sweetened post maturation; therefore sterile filtration was a must to eliminate any refermentation issues. A very light sprtiz was seen in the glass, until it completely disappeared to resemble a still after a couple minutes. The nose was a real treat and oozed complexity and class. Lovely fresh hints of spice pantry, apple skin and orange blossoms were deep and concentrated. More secondary features of old wood (which also included a brettanomyces/band aid note), musty old barn and cold store added depth and intensity. As a whole the nose was rich, luscious, intense, powerful but impressively very restrained for a wild ferment. What I loved was this amazing floral character, like what I would imagine if I was walking through a Somerset orchard at bloom in the spring time. This tied the whole nose together perfectly. Just a real nasal pleasure. The palate really upped the ante and propelled this Vintage cider into the stratosphere of Somerset awesomeness. Mouth filling medium dry sweetness was beautifully balanced by waves of mouth sapping drying astringency and apple seed bitterness. The bittersweet and sharp fruit really was the stand out here. The cider apple astringency demanded respect, but if done, rewarded the tastebuds with textural overload. All the key areas of the cider where in harmonious balance, from the astringency, to the acidity, to the alcohol. It was all fantastically complex, and showed elements of rusticity too. Juicy flavours of cherry apple, smokey oak, red apples, roses and earth all teased the flavour receptors in the mouth and sent them to flavour country. A light fizz lifted all the flavours and really made them stand out. The best words used to describe this cider on the palate consist of: Juicy, rich, complex, balanced and rewarding. Wow guys, this is the real deal of cider. This is a cider which restores a huge amount of faith amongst all the concentrated, mass produced and poorly made examples we see more and more of these days. What I love too is this highlights that cider can age perfectly, contrary to many beliefs out there. Like a wine, cider can get so much better with age, and this is a prime example. A cider style like this would also easily slot into the slip cordon between Ponting and Warne of Australian consumer’s palates and would continually take one handed dive catches all day long. I rate this cider very highly, and I would go as far as saying this is one of the best ciders I’ve ever tasted – up there with Eric Borderlet and Gwynt y Ddraig. This is real top shelf booze and is a serious cider. A real privilege to drink. I find it’s never a good situation to be in when an imported cider really strikes a nerve. What was meant to be an innocent review on a cider from a country which I have limited experience with, has turned out to be more of a thought provoking exercise than anything. I have been left with the question of ‘why?’ Ok, yes brands like Strongbow, Magners, Bumlers et al are supposed ‘imported’ brands, but they are now so firmly entrenched in our social drinking fabric that they are deemed acceptable by consumers. And unfortunately no constant ‘real cider’ and ‘100 per cent real fruit’ campaigning will ever change this. Also large companies like Fosters and Suntory will make sure these brands keep up an ever growing presence on shelves for years to come. So what is my point to all this? Well let me explain. Hunter’s have been making cider in South Africa since 1988, and from an outsider looking in, it seems to be quite popular there. I am 99.9 per cent confident that if I asked random Aussie punters if they knew that South Africa was a cider producing country, I would get a string of ‘really?’ answers. Don’t get me wrong; South Africa is world famous for being a new world wine producer - so the credentials are definitely there. But the cider/South Africa connection is somewhat of a weak link in Australia. This is by no means a disadvantage, as the ciders produced there could be of a world class standard. But due to the sheer lack of distribution into other countries, we may never know. This leads me to my next point. Hunter’s IS distributed into Australia by Africape Wines, and is ever so slowly being picked up by a select number of speciality retailers. My question is……you guessed it – why?!! Firstly, let’s not forget this scarily enough is an actual cider review, so I’d better get on with it! The cider pours a yellow gold and is full of large bubbles which fade fast. It’s evident from the get go that the cider is artificially made, as the nose stinks of a fake, sugary concentrate. I really liken it to sticking your honker into a vitamin C tablet bottle. Thick and pungent orange marmalade and stewed apple characters leap out at you, followed by musty and dank notes. It really smelt like a cheap orange and lime energy drink which had been concocted with artificial ingredients. There are no real fresh fruit characters and to be brutally honest, it’s majorly confused. I also couldn’t help pass the cooked note which was undoubtedly due to the pasteurisation process. Also a weird coconut character was overly evident which seemed odd and certainly out of place. Overall the nose seemed fake, put together and resembled more an energy drink than anything. The palate was a complete wash out. It was watery, thin, lacked personality and almost bordered on a Vodka Cruiser. The medium sweetness tasted like artificial sweetener and instead of flavours like fresh apples, all I could get was cheap lime cordial. There was a tangy acidity which made the whole palate sickly, and a weird apricot after taste topped it all off. Refreshing? I think not. This is concentrate at its worst! Alcoholic lolly water. Why is it so bad? Concentrate is of course one huge reason. Use mediocre ingredients – make a mediocre product. But I love how it says on the bottle ‘naturally produced at the Hunter’s cidery’ and ‘finest quality’– hmm right. This cider obviously can’t handle pasteurisation. It’s a double edged sword here: Don’t pasteurise, lose shelf life – Do pasteurise, get a weird cooked note. Being imported from South Africa, the cider is also exposed to extreme temperature fluctuations, which are not good for quality. Combine this with a clear bottle, and the potential for the cider to be light struck is another major issue. We all know people who say Corona is sooooo much better when you drink it in Mexico (is Corona ever good to drink???). This is largely due to the clear bottles allowing detrimental UV light to come in contact with the product and spoiling it. I will admit many English ciders reach Australia in great condition in clear bottles, and I put that down to them being real cider made with real fruit with no garbage added. So really, Hunter's cider is doomed in my eyes and once it hits our shores, it spends time in warehouses and on shop shelves adding more time for the cider to deteriorate. And yes, benefit of the doubt should be given, but it’s hard to give when the cider is of such poor quality. One solution would possibly be to try it over multiple bottles etc., but I can’t see that helping much. So……glad we got that out of the way. If your cider is not up to scratch, there’s no point lying about it. But it would be obtuse of me to say that this is a perfect representation of South African cider. I know for a fact there are much better artisan made cider companies making cider with real fruit and traditional techniques lurking in the shadows. It’s just a pity we cant get them here - unlike this mass produced aberration. So why has this put such a bee in my bonnet? Why, oh why do we need this type of mass produced, over commercialised and low quality cider entering our competitive Australian cider market? Do the powers above believe that the regular Aussie consumer is going to fall in love with this style? Or is it a case of treating the consumer with contempt? Who knows!? But I can guarantee that this cider would not be popular at all in Australia. The Australian cider market is crazy competitive with producers popping up left, right and centre. But heck, the majority of them are good to great examples! Craft cider is kicking long outside fifty metre bomb goals like Buddy Franklin, and consumers are jumping all over them like a fat kid on a smarty. Adding a cider to the mix which is not only not up to scratch, but from a country where cider is unfamiliar to the majority of consumers is just plain brainless. Come on, let’s get serious! There is cider out there which is so much better!!!!! My tip is if you want to try a cider from a new country, please, please, please with a cherry on top choose established producing countries like France, England (and Wales) or Spain. These ciders are easily obtained in Australia now. Bloody hell; even go a cider from our unofficial brothers in the land of the long white cloud, New Zealand. But until South African cider of great quality is distributed into Australia, I say stay well clear of Hunter’s. That also goes for Savanna Cider also out of the Distell Group stables. It will tarnish your opinions of cider from this country which is unnecessary and unfair and to be down right honest it’s not what Australia needs (or wants). We’ve got enough ‘imported’ rubbish cider here to last us a life time, we don’t need more!! It all just doesn’t make sense to me.